The first branded slot machine from Yggdrasil Gaming, Nitro Circus is inspired by the action-packed show with the same name. 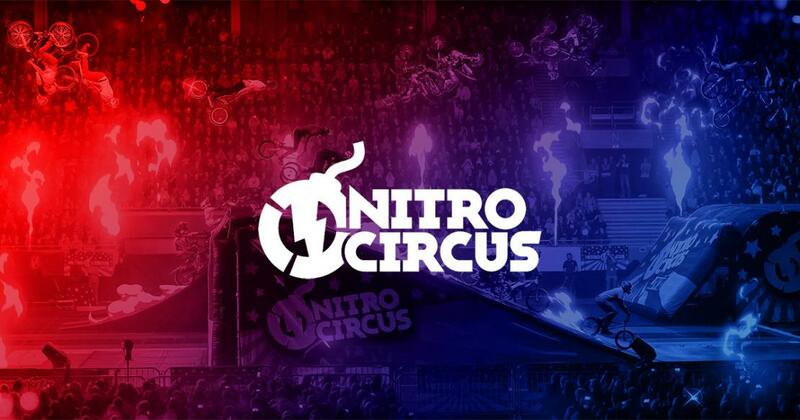 Nitro Circus is the first time that Yggdrasil Gaming has ventured into branded game territory. They went with a type of show that some people appreciate, based on daredevils and amazing feats, usually done using motorbikes. All kinds of stunts are performed during the shows of Nitro Circus, and Yggdrasil’s new game has been inspired by them. The slightly changed images of some of the daredevils working at Nitro Circus are in four of the high paying symbols, while helmets are the lowest ones used. Various other symbols will be available, such as Wild logos, the letters of the NITRO word (each one on a different reel). Partially inspired by real-world images, partially designed on the computer, it’s got an OK design and fit for the theme it has. Looking at what’s offered on the reels, feature wise, you’re going to find the collections and the various ways you can get on the Nitro Jump course, plus there will also be Nitro Blast mini games, free spins and wilds. The game area features 25 lines over 5 reels. It’s also a game with a very good RTP, of 97%, while wins will reach 500x the stake in the regular part. The wager type is the usual one, involving 25 lines, with the start at $0.004 and the highest value at $5. This allows the total bet to vary between $0.10 and $125. Access to the Nitro Jump feature is possible when you get all letters of the NITRO word, at the same time. You have three jumps to start with, during which you collect items to gain advantages (multipliers, coin rewards). You select the vehicle as well, and you use it to collect rewards. 10, 20 or 30 free spins are triggered if you have 3 or more Nitro Bombs visible in view. Get Bombs on the reels at this point, to get the Nitro Blast mini game as well, receiving more free spins, multipliers or wilds. Wild symbols will be in the game as well, and as usual you may use them to replace pretty much any type of regular symbol. Nitro Circus looks like a good first branded slot for Yggdrasil, and with complex features and a 97% RTP I’m sure it will be interesting to try for many.